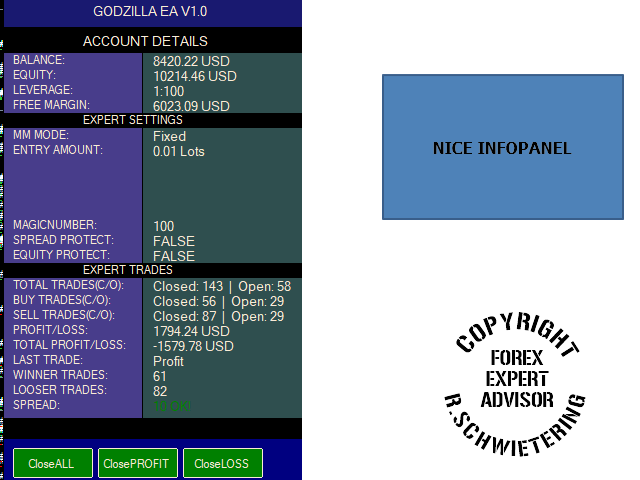 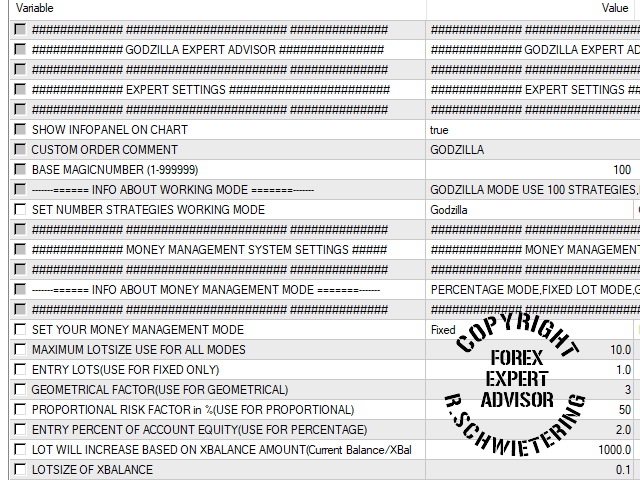 GODZILLA is an intelligent automated Expert Advisor. 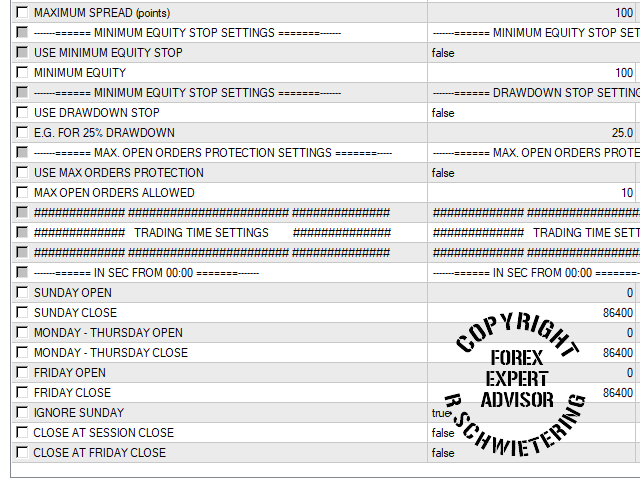 It is working with its own complex algorithm with help of 100 different strategies. 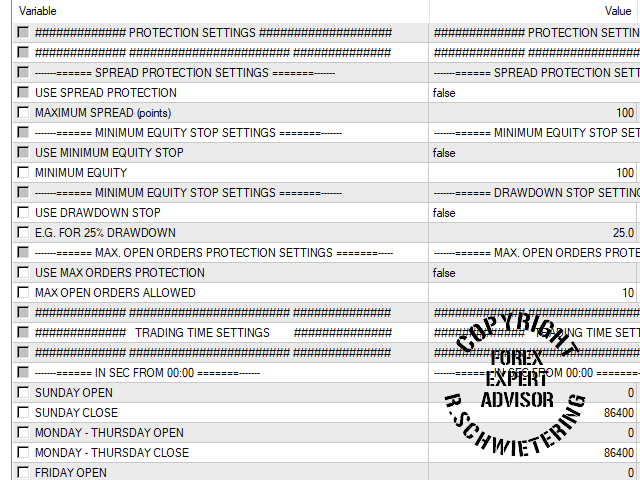 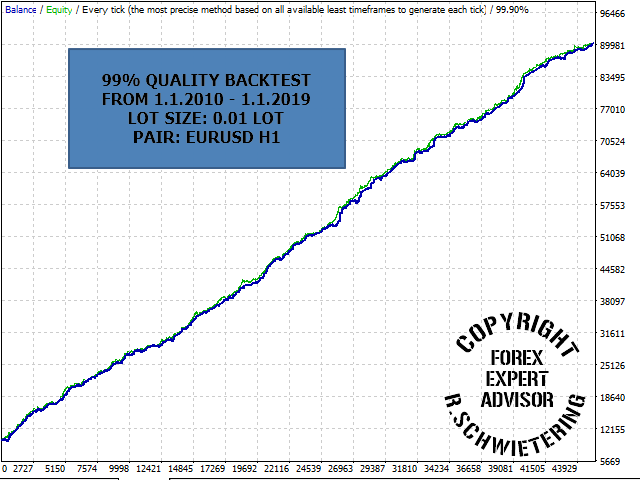 EVERY 6 MONTH NEW UPDATE WITH SORTING OUT UNPROFITABLE STRATEGIES WITH NEW ONES.